I began this series because of my fondness for collecting found vernacular photographs from China. As my collection grew, I became curious at what stood out to me from the country’s Cultural Revolution period. For ten years (1966-1976), the political agenda of China’s one party government, led by its charismatic then helmsman, Mao Zedong, seeped into almost every aspect of the lives of ordinary Chinese citizens. So successful was the government’s endeavor that it profoundly influenced the collective visual consciousness of the time. When opportunities came for picture taking, a relative luxury at the time, most people deliberately chose to include symbols of the political narrative - wearing Mao pins for instance, or standing in front of a poster or statue of Mao. It is their way to show reverence towards Mao’s god-like persona, as well as to demonstrate their loyalty to be a part of his push for the country’s political and socioeconomic reforms. Through this series, I want to remind viewers the effect of propaganda on our modern society. Propaganda of all forms has never stopped being a reality. By looking at the impact leaders and political messaging have had in the not so distant past, I hope viewers will be prompted to reevaluate how messages and tweets from current politicians can influence our lives. 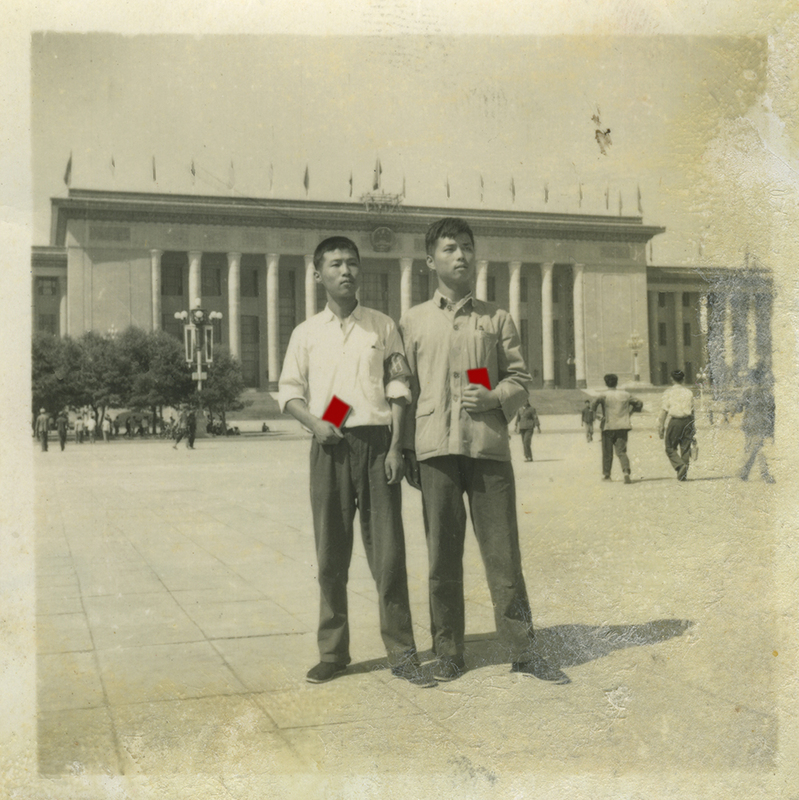 In these found photos, in order to examine the impact of propaganda, I decided to highlight it in a direct manner. For every item in the photographs associated with the pervasive political message of the time I’ve used the color red – a color adopted and still used by the party today and one that represents revolution – to replace the content. The goal is to focus one’s attention on the way a political agenda altered the vernacular visual language of China’s history. The title of this series is a reference to “The East Is Red”, the Cultural Revolution anthem played everyday throughout China during this time. Sheila Zhao lives and works in Shanghai and Bejing, China. To view more of Sheila's work, please visit her website.